I used this book as a way to set the tone for my day... to be self aware, to monitor how I behave, and to see what lies underneath. 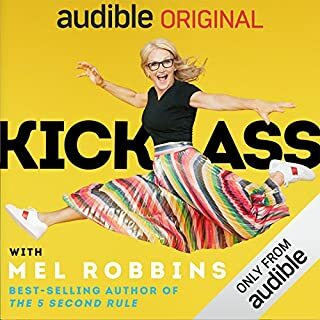 Michele retreats to the country while her teens are away for the summer, to write the memoirs of her elderly neighbor, Gidget - a reclusive former Houston art gallery owner - and learn how to be alone in the wake of her husband’s death. But when Gidget dies unexpectedly, she leaves everything to Michele except a bequest to a daughter no one knew existed. 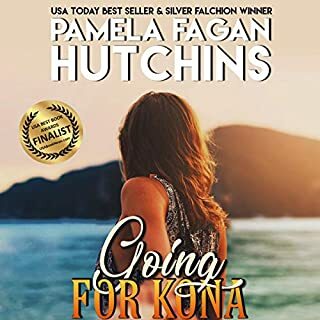 Suddenly, Michele's country quiet is shattered, and half of Texas shows up: some to help, some to contest the will, and others to make sure the mystery daughter is never found alive. Where does Fighting for Anna: A Michele Romantic Mystery rank among all the audiobooks you’ve listened to so far? 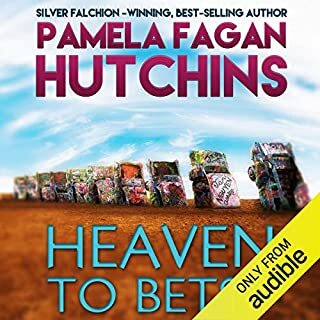 Of Pamela Fagan Hutchins audiobooks, it may be among my favorite! And her books are the tippety top on the list of all suspense novels I have listened to. 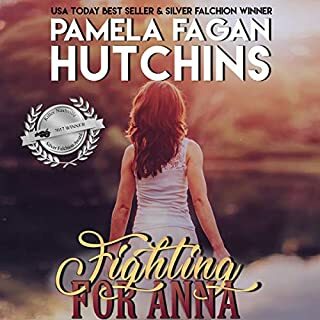 What other book might you compare Fighting for Anna: A Michele Romantic Mystery to and why? What about Natalie Gray’s performance did you like? OMG,I think she is my favorite narrators of this series. Her accents are wonderful, and all of the characters had a richness to them, making it easy to stay in the story. I was just thinking at the end of this book, that ALL her books really crescendo. I love the action packed endings. But the part that stopped me in my tracks was when they arrested Michelle! I listen to these while I work with my hands...I am transported, entertained, intrigued, and involved all the way through! 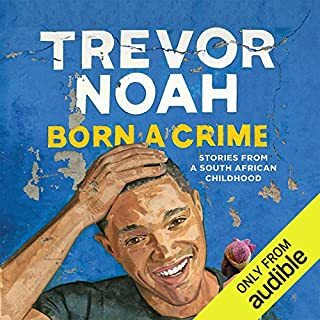 What other book might you compare Born a Crime to and why? What about Trevor Noah’s performance did you like? His ability to do dialects is very entertaining! I truly loved the scene at the hospital with the nurse, his dilemma, and his honesty about his train of thought. Holding onto my seat until the last few words! 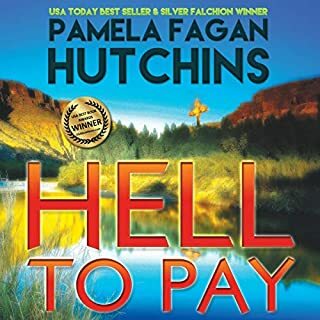 What did you love best about Hell to Pay? I love the way all the storylines weave together. I loved loved loved the twists at the end. What was one of the most memorable moments of Hell to Pay? The scene in the underground retreat with Jack being set on fire! I mean, how often does the hero get set on FIRE in a book?! It made me angry at times. I was so upset at the foster parents of Betsy. Had my arm hairs standing on end! If you could sum up Heaven to Betsy in three words, what would they be? What was one of the most memorable moments of Heaven to Betsy? Jeez, there were so many, but I loved when I realized she had finally found Valentina! What about Tracy Hundley’s performance did you like? She has a very believable Texas twang, and her interpretation of Jack was surprisingly good, too! Yeah, all of it. Especially the part where she saw the Mountain Spirit at the end. I loved the whole book, found it really fun and adventurous.....The entire last chapter was AMAZING. 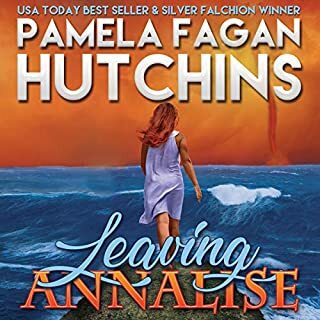 Where does Leaving Annalise rank among all the audiobooks you’ve listened to so far? I don't often listen to fiction, but this series has swept me away. It is truly like taking a great vacation with some good friends. I LOVED the actions of the jumbie the most. I never knew exactly what was going to happen, and the way Katie interpreted her experience of the jumbie was always fresh. Which character – as performed by Ashley Ulery – was your favorite? Yes, but then you have to say goodbye so fast! I don't like finishing books all in the same day because I like to let the characters sit with me a while. The ending of this one was hard....it made me want more right away. I couldn't let it sit like that. A GREAT ADVENTURE ~ VACATION! 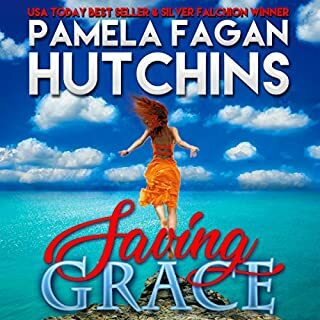 What made the experience of listening to Saving Grace the most enjoyable? I loved the descriptions of places, could feel like I was there. The details about the characters were so enriching, I found myself identifying with Katie all the time. I love the characters, the way they were developed. I felt like I really got to know them. Of course, my favorite scene was the big surprise in the courtroom....and "mewling like a kitten" really felt visceral to me. More. Made me want more. As it was nearing the end, it felt like I was about to leave some friends for a while!